There has been much written and disputed about the life of the great 13th century mystical poet Rumi. But by all accounts, Rumi had a dear friend named Shams of Tabriz. Together, Shams and Rumi explored spiritual teachings, gave each other tremendous strength, and shared a bond that changed their lives. When Shams died, Rumi was so overwhelmed with grief that he channeled all of his sorrow into what is said to be a period of intense thinking. Through this mourning came some of Rumi's most famous works of poetry, including Diwan-i Shamsa, a collection of 30,000 verses that he dedicated to Shams. The death of such a master is no little thing. He was not water which froze in winter. He was not a seed which the earth crushed. For he valued the two worlds at a barley-corn. Soul and intellect he bore to heaven. Came to the jar's surface, and the lees settled apart. Anuj continues to inspire us as Shams did Rumi. Out of our grief we hope will emerge many opportunities for young people to find their paths in life through higher education. It will be our poem of love to our dear Anuj. April 19, 2007, at 5 pm, University of Southern California held a memorial service in memory of those lost over the past year. The ceremony held every year gives the graduating class an opportunity to remember these people who made a difference in our lives. Anuj and Dad were also among the ones honored this year. A candle was lit in memory of each of them and the service program had their names mentioned as one of the loved ones remembered. And though the pain of their loss hasn't started to recede, the candles that lit up the dark room holding the service conveyed a message of hope and peace and reminded us all of their never ending love and support. 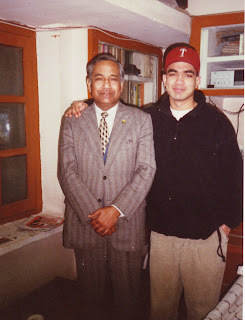 Anuj and Dad, always together. Winter, 1996. Today, New York Times reporter Somini Sengupta wrote an article about the ever popular snack stands around India that serve fingerlicking foods such as chaat, gol gappas, and kochori. Like other students, Anuj would occasionally visit the chaat stands that line the streets of Lucknow. One famous stall that Dad would take him and the rest of the family to was Tiwari's chaat stand. In addition to food street stalls, Lucknow has its share of fresh juice stands. Kapil fondly remembers going with Anuj to a sugar cane juice stand on Anuj's 17th birthday. They were on their way home on their daily rickshaw ride from St. Francis. The unrelenting heat of summer had just hit. Anuj suggested they stop at the stand for a refreshing drink. While it was a short pit spot, like every other experience with Anuj, it was easy-going, wonderfully pleasant, and memorable because of its sheer simplicity. 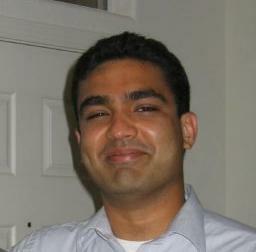 Many years later, Anuj enjoyed delicious chaat at Shalimar, an Indian restaurant in Fremont. It was one of his favorite places in the Bay Area. Always one to share, he would take friends and family there to experience the delectable treats. 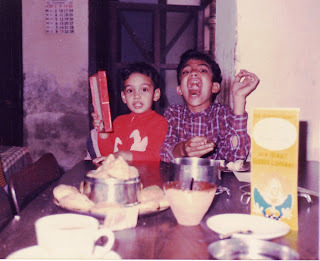 Anuj and Kapil noshing on kachoris and samosas. 1988. Buried in a stack of old birthday photographs, we found this faded gem. Here is Anuj eyeing his cake as he gets ready to celebrate his second birthday. As you can see, he gets a little help from Dad in blowing out the candles. Mom looks on adoringly. 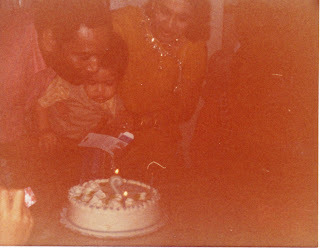 Anuj, Mom and Dad. Spring 1978. 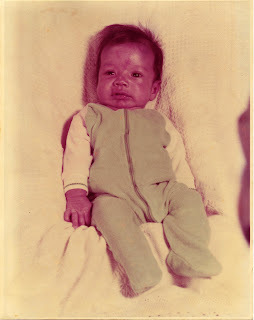 Anuj a few weeks after he entered this world. Spring 1976. Thirty-one years ago, Aditya and Deepa Mohan were a young couple who had just moved to Boca Raton, Florida. On April 9th, at 2:07 PM, they were blessed with the birth of a beautiful baby boy. He was born at Bethesda Memorial Hospital in the neighboring town of Boynton Beach on Florida's Atlantic coast. Mom and Dad named him Anuj, on the advice of his grandfather, because he was their second son and was born on the Hindu holy day of Ram Navami. As we described before, Anuj means "younger brother" and often refers to Lord Ram's devoted and heroic younger sibling, Lakshman. It is said that a soul is a detailed, elaborate pattern that exists very clearly in one's brain. When a person dies, the original is no longer around. But there are versions of it in all the people that one impacted in life. The soul remains deeply embedded, albeit as a less detailed copy, in the hearts and minds of those that knew that person. Thus our lives end not when we die but when the very last person who knew us dies. It's been ten months since Anuj physically left us but on his special day, the day we expected to celebrate his thirty-first birthday, we know that he lives on in all of our hearts. With the NCAA basketball season coming to an end and new champions being crowned, we are reminded of Anuj's passion for the game. Be it through the NCAA pool at his fraternity, or a quick pick up game during lunch hour at work, Anuj always found ways to indulge his love of basketball. In fact it was a sport he actively participated in since childhood. 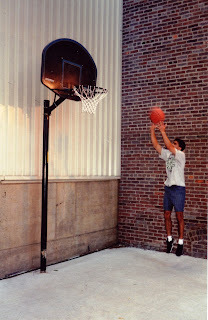 Anuj became the youngest member of his high-school basketball team in the 9th grade and in college he could always be counted on to play a significant role on his fraternity hoops team. Anuj taking a jumper in college. Fall, 1996. 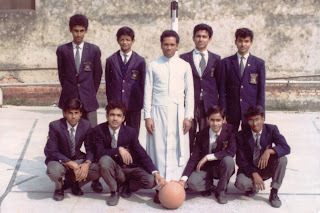 Anuj along with the rest of his high-school basketball team. Winter, 1992. He is second from left in the front row.